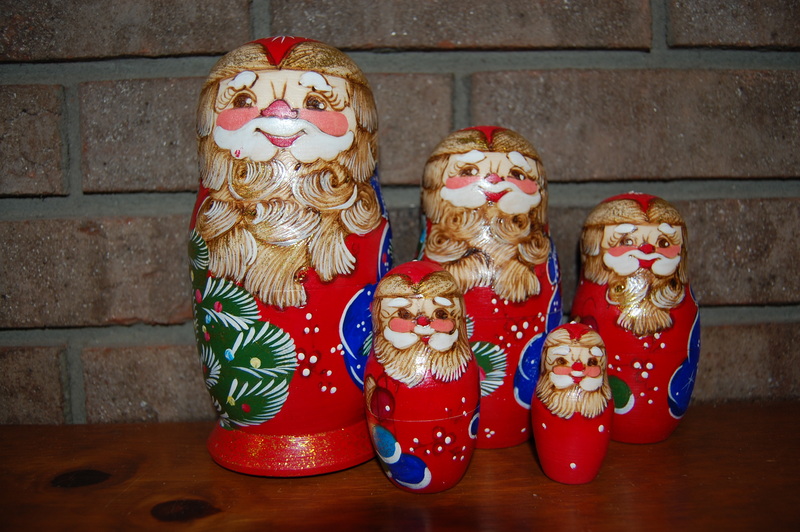 Home / Category Name: Christmas Nesting Dolls, Category Path: Christmas Nesting Dolls / Woodburned Santa Nesting Doll 5pc./6in. Woodburned Santa Nesting Doll 5pc./6in. Volga Maiden Nesting Doll 7pc./8in.